Mahagun Builder Comes with Mahagun mantra 2 Greater Noida west after great success of Mahagun Mantra 1. In the direction of most famous Hafeez Contractor and team Mahagun Mantra 2 Noida Extension Offers Luxurious 2/3 BHK flats at Best location of Greater Noida West with 70% open Area. Mantra 2 Greater Noida west provide all facilities like Car parking, Modular Kitchen, Wardrobe and AC in all rooms & Hotel Membership (Owned by MHPL). Mantra 2 Noida Extension well connected to NH-91, Upcoming multipurpose commercial area, Proposed metro (phase-2) next to project, Connectivity to proposed 100 m wide eastern peripheral road via NH-91. Greater noida west, formerly known as Noida Extension is now favourite and Popular zone for buyers and investors. Mahagun Mantra 2 have 9 Acre total built up area. 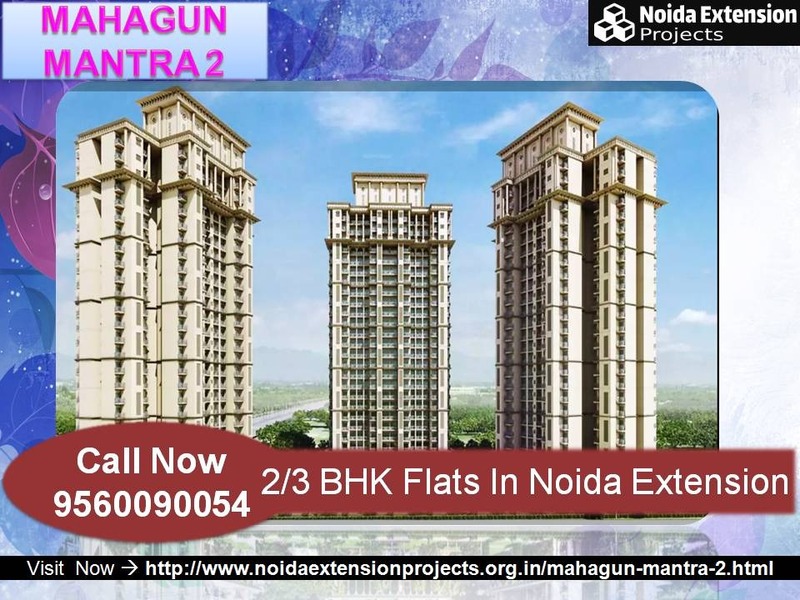 For Lowest Price and Best-deal Visit now http://www.noidaextensionprojects.org.in/mahagun-mantra-2.html or call us now on 9560090054. Mahagun Mantra 2, Mantra 2, Mahagun Mantra 2 Noida Extension, Mahagun Mantra 2 Greater Noida west, Mantra 2 Greater Noida west, Mantra 2 Noida Extension.